Aesop is an automated service that simplifies and streamlines the process of recording and managing absences and finding substitutes. The Aesop service will be available to you 24 hours a day, 7 days a week and can be accessed via internet or phone. Here, you will be able to enter absences, check your absence history, upload your lesson plans for substitutes, leave messages for the substitute to view online and more. Try using a different browser. Google Chrome is preferred. What types of absences do I enter in Aesop? You will enter all absences in Aesop, including sick days, personal days and professional days, regardless of whether you require a substitute. Personal day requests will be routed electronically to the appropriate administrator for approval, and you will no longer need to complete a personal day request form. In the case of a professional day, please enter the absence in Aesop and also continue to complete the appropriate professional leave request form. 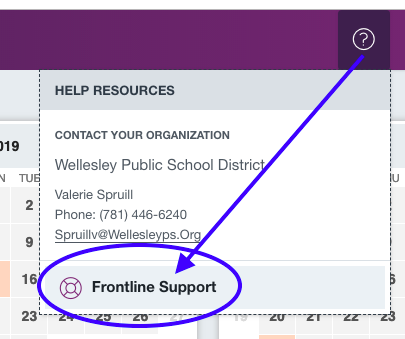 If you have any questions, concerns, or comments; please contact Valerie Spruill by phone at 781-446-6210 ;5603 or email at spruillv@wellesleyps.org.